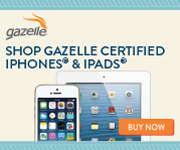 Yes selling accessories for a device that isn't even available is exactly like putting the cart before the horse. The thing is companies want to try to get a jump on one another and get them out there as quickly as possible. So it comes as little surprise that this week two manufactures, LaCie and Skooba Design, have announced the release of iPad ready travel bags, sleeves and wraps. LaCie announced a colorful series of sleeves for protecting and carrying compact netbooks and MacBook computers – LaCie Coat and LaCie ForMoa, design by Sam Hecht. For early adopters the new sleeves make a perfect carrying companion for the recently-announced Apple iPad. The LaCie Coat and LaCie ForMoa come in five colors and offer a stylish way to protect your favorite portable computer. Made with a double layer of neoprene and soft inside lining, it protects your laptop from spills and scratches. The LaCie Coat includes an inside zippered pocket, allowing you to store a power supply and accessories. Offering even more versatility, the LaCie ForMoa carrying case features handles that you can use or tuck away – giving you the option to carry your laptop with you or use the ForMoa as a sleeve. The ForMoa also includes three pockets for superior organization of your power supply, accessories, and paperwork. Carry a new iPad, with room to pack the power supply and accessories too. A perfect companion to the iPad and MacBook computers, the LaCie Coat and ForMoa come in a 10.2", as well as three laptop sizes that fit 13", 15" and 17" MacBook and MacBook Pro computers – providing a perfect fit for any notebook. The LaCie Coat and LaCie ForMoa come in five vibrant colors: red, blue, pink, orange, and black. Skooba Design has announced that several of its new products are "iPad-ready": The Netbook/iPad Messenger, Neo Sleeve, and RAPS “portable padding” are all available now. The Netbook/iPad Messenger is a slim, lightweight but full featured courier-style shoulder bag with over a dozen pockets and organizer compartments. It has a dedicated, padded sleeve that’s perfectly sized for the iPad, with or without Apple’s optional leather folio cover. The sleeve also fits all popular netbooks, for those who prefer computers that fold. Available in 4 color combos at $49.95 suggested retail. The Neo Sleeve is a stretchy, neoprene (wetsuit material) skin that hugs and protects the tablet, keeping it safe from the daily bump-and-grind, as well as the elements. And it’s “checkpoint-friendly,” so it can go through airport screening without taking the iPad out of the case—faster and much safer than throwing the tablet in a gray plastic bin. 4 color combinations, $19.95 suggested retail. Skooba RAPS take a different, much simpler (and very economical) approach. 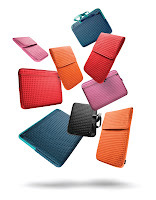 These padded squares wrap around the iPad and self-fasten. The medium size wrap is perfectly sized to “origami” itself around the tablet, creating a nearly weightless, bulk-free envelope to protect the device in a school bag or briefcase. Other sizes available too, to wrap and protect just about anything. The medium wrap retails for $14.95.